Law enforcement has gotten fairly creative when it comes to implementing a wide variety of police vehicles, from the Dodge Challenger R/T to the Ford F-250, but they rarely ever stray into the realm of true performance models (outside of memorial cars, like this 730-hp Saleen Mustang). 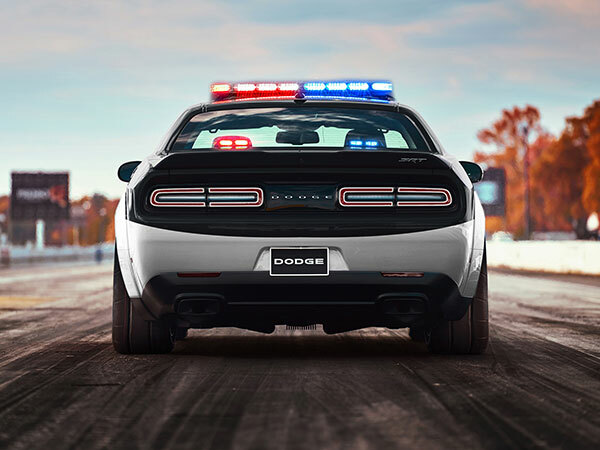 Fortunately, with the power of Photoshop and a solid imagination, artists can create any type of cop car they like...which has led to the "creation" (at least, on a computer) of a Dodge Challenger SRT Demon police car. Equipped with all the normal patrol car gear like lights, a push bar, steel wheels, decaling, etc, this Dodge Challenger is ready to hit the mean streets of your imagination. 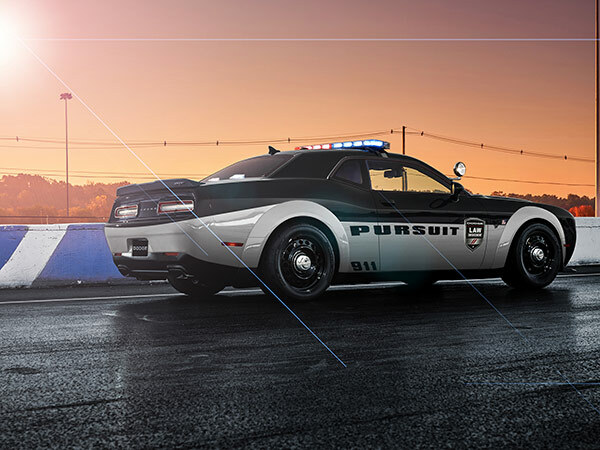 Creator Aksyonov Nikita did a great job of making the Challenger look like a real patrol car. Unfortunately, 840 horsepower (or even the 707 horsepower of a Hellcat) may not be the best for daily patrol or the silent approach...but it is always fun to dream a little. That being said, there are plenty of R/T Challenger police cars on the road to keep your mind occupied with thoughts of Chally pursuits. FCA currently has three very capable vehicles outfitted for law enforcement: the Dodge Charger Pursuit, the Ram 1500 Special Service, and the Dodge Durango Special Service. All three vehicles have upgraded suspension, wheels, alternators and minor interior modifications to better suit the law enforcement community. Now departments can easily pick out which Dodge vehicle works best for their needs. Will Used Chevrolet Caprice Cop Cars Jump in Price After Production Ends? The legendary Ford Crown Victoria Police Interceptor seemed to bump up in price in 2011 but is the Caprice loved enough to follow the same track?